Have you suffered data loss due to ransomware corruption? Do you lose access to your precious photos and videos because of blue screen? Can’t recover important data after you deleted the wrong folders? You should think about using an online backup service. 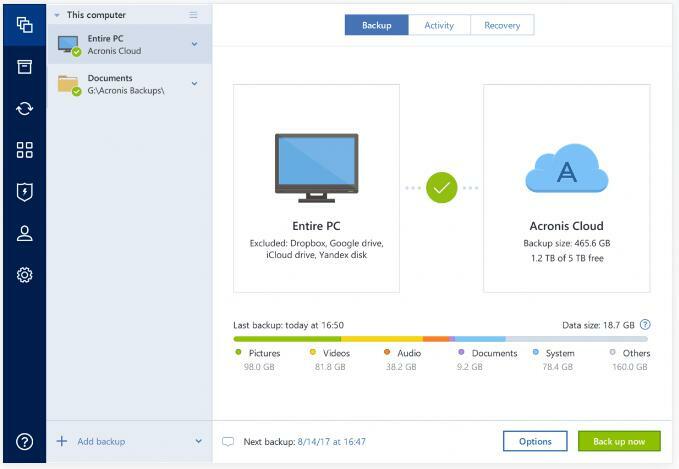 Acronis True Image is a fast and reliable backup service that helps you back up various types of files, gives you quick access to your files from anywhere and enables you to restore files instantly. How does Acronis True Image protect your files? Is it secure? You will get the answer in this Acronis True Image review. Acronis True Image is an advanced and popular backup service that trusted by both individuals and businesses throughout the world. It uses innovative and award-winning technologies to deliver superior reliability in protecting users’ data. The company has been refining and enhancing the service over the past 15 years to ensure users’ data has the best possible protection. This service supports full image backup, active disk cloning and social media backup, helping you protect every file you consider as important. It features an online storage component in Acronis Cloud. It lets you select the whole system or desired partitions on PC to back up and choose to restore small part of the files immediately or schedule it. It offers to clone disks for you. You will be able to view the status of backups, file sizes, backup speeds, and number of backup versions. It takes less time to back up and restore files than other products in the market. 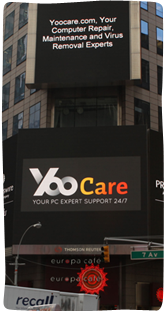 It has a hidden restore-from partition called Secure Zone on your PC for speedy restore. It also offers archival and sync functionality for convenient data management. Acronis True Image uses end-to-end encryption to safeguard your data and offers multiple data centers. They monitor the data centers in real time and use solid security technologies to deliver solid protection. This service provides all features you need from a backup service. Besides, the backup packages come with ransomware protection, cryptomining blocker, blockchain certification of files, electronic signatures on files and more extra features for the security of files. Acronis True Image offers free trial and paid packages at reasonable prices. You can try this service out free for 30 days. The backup packages start from £49.99 per year. As more and more people work on computer, they have lots of data and files to store and protect. However, people suffer data loss every day due to ransomware corruption. Some users may not be able to access their systems and files due to hardware issue. Some companies may lose important files as their employees deleted them by mistake. To prevent data and financial loss, people choose Acronis True Image to back up and keep their data safe. The backup process is very easy to operate. It lets you choose to back up the entire hard drive or only specific folders & files. If you skip the setup, it backs up the entire hard drive by default. This service offers to back up various types of data on your system. You are able to back up your OS & settings, programs as well as data. Photos, videos, contacts, reminders, and calendar appointments you need for daily use can be backed up and protected as well. After you choose data to back up, you can decide the destination of your backup data. The Acronis Cloud is the most popular option. Storing files on the cloud can save precious space on your PC or other expensive devices. If you would like to transfer large files to a new device safely and quickly, Acronis True Image can do the favor. For example, it assists you to clone an internal hard drive to a new one for higher performance and more memory. You are allowed to make a CD with the service for a bootable copy and more convenient restore. To increase the reliability and performance of backup on both Windows and Mac systems, Acronis True Image developed the new file-to-cloud formatting, offering safe & off-site storage. It ensures your data is highly protected and encrypted. It helps you back up when a USB connects. Before backup, select “upon USB attachment”, and it will start to back up your files automatically once your USB drive is connected. It offers superfast backup. If you need to back up files to your Mac or the other device with larger disk, Acronis True Image helps you finish the tasks with less effort. It enables you to clone an exact replica of your system while you are using it. It does not require you to stop using the system or restarting after the job is done. Acronis True Image offers to back up various types of files, fast & secure backup process and multiple backup destinations. Acronis True Image has done a great job, and most users are satisfied with the high performance. When you first install the software, it takes some time just like other advanced backup software. The software is full featured and comes with robust functions. When you do the initial backup, it may take several days to finish the job if you have tons of files to back up. The backup time depends on the size of your files and speed of your connection. When we tested this backup service, it finished the backup of 80 GB of files quickly within 10 hours. You can work on the PC normally when it backs up. It starts the backup quietly in the background and does not impact the daily computing experience negatively. Acronis True Image is quick in syncing as well. With few clicks, it syncs your files across different devices and allows you to access your files from anywhere. This is one of the fastest services that we have tested. A larger number of users pick this service because of the high performance. They can keep their data secure as well as improve their working efficiency greatly. Lots of users lost important data every day. That causes loss of millions of dollars every year. If your files are locked by ransomware, it demands hundreds of dollars to recover the files. However, there is no guarantee that you will surely get your files back. In most cases, they grabbed your money and ran away while your files were still encrypted. After all, they are criminals. Therefore, it is always wise to back up your important files regularly so that you can restore them immediately. In case you lose files for any reason, you can restore them easily from Acronis True Image service. To restore your files, you need to select a backup task and then locate the restore tab. You can see different file-restoration options in the Backup tab. Like when you back up the files, this service lets you restore specific or all of the files at once. It is possible to retrieve only the needed file without having to download all contents from the backup service. Click Continue button after you finish selecting. Acronis True Image makes it easy to restore the copy of your files. You can start the recovery from a boot or CD drive. It enables you to restore your system to new hardware even if the old hard drive is damaged with the help of the company’s bootable media and driver injection technology. Acronis True Image provides Acronis Survival Kit which is the all-in-one recovery tool. The tool is created on an external drive and contains the boot media, system partition as well as all of your backups. Simply plug in the external drive and it will finish the job. You are able to install applicable parts of a system from a failed PC to a new system with different hardware without any problem. This backup service keeps a respectable 20 versions of files for up to six months, allowing you to restore any of the versions within half year. This speedy restore is very helpful for your work. Acronis True Image utilizes end-to-end encryption to secure your files. It employs AES-256 encryption which is used by government agencies and banks to protect their confidential data. This service allows you to set up a local encryption key. You are the only person who acquires the key because it is never sent to Acronis for backup. Hence, the company has zero knowledge of the content you back up. Please note that the local encryption key is non-recoverable if you forget it. Are your files safe when they are stored on Acronis True Image? The company makes use of fences, biometric access checks and video surveillance to create a solid physical security standpoint to protect their data centers. Their data centers can keep on operating in the event of a power loss for 48 hours. The security of your files is guaranteed. In those days, cryptocurrency is very popular and people become millionaire for investing in cryptocurrency. To get more money, the cyber criminals use malware to secretly make use of unprotected systems’ computing resources to mine cryptocurrency with cryptojacking. As it requires abundant processing power to calculate complex digital equations to mine cryptocurrency, criminals develop and drop special malware on victims’ systems for more processing power. Unlike normal malware, the malware does not steal your data or corrupt the system. Instead, it slows down your PC’s performance and increases your energy use significantly to rob considerable system resources. Most users fail to notice the malware infection. How to prevent this kind of malware? We are glad to tell you that Acronis True Image protects you against cryptojacking. The product comes with Acronis Active Protection which is a kind of artificial intelligence-based defense developed by the company. It is able to detect attack and recognize malicious miners timely. It effectively prevents your system from being infected. Likewise, Acronis True Image is packaged with ransomware protection. It uses artificial intelligence-based anti-ransomware technology to keep your files away from threat. This service is capable of detecting malicious programs and notifying you immediately to stop them effectively. This product has stopped over 200,000 attacks from encrypting data on compromised devices. You get the advanced ransomware protection on network shares and NAS devices as well. Acronis True Image is pretty simple to use. It is easy to get started with this service for beginners. Acronis’ installer is over 500 MB and it takes several minutes to install the software. Create your Acronis account and log in the account to start your backup. After you select the files you would like to back up and destination of files, you can start the backup immediately by clicking the green Back UP Now button or delay it until a specific time. Acronis True Image’s interface is straightforward. The client is visually informative as the company uses color sparingly and consistently. Hence, it is very easy to navigate to any section and perform a task. The company offers useful instructions with clear words and video to show you how to transfer your system to a piece of new hardware. It tells you how to use an external USB drive and install your system to a new internal drive from an external USB drive. You can perform the tasks smoothly. If you have any problem about the service, you can contact the customer support for professional help. Acronis True Image is a useful backup service with high reputation. It gives you options to back up & restore specific files or the whole system at a time. This service is very fast when it backs up, syncs or restores your files. It can back up your files to the cloud constantly after you create and set up your account. You are allowed to set it up to capture changes of your files as often as every five minutes. It is able to back up timely while you edit your files. The backup service comes with flexible management, letting you schedule times for backup & restore, configure destinations and select from default & custom backup types. It also allows you to select the data center nearest you to ensure the fastest possible connection and meet any regulatory requirements. The instance data recovery ensures you always have access to your important files. Acronis True Image helps you sync files between PCs or in the cloud in order to let you access the same files on multiple devices. Their improved file-to-cloud format boosts the reliability and performance of cloud backups makes it easier, safer and faster to back up and restore important files. This awesome backup service is not too expensive. 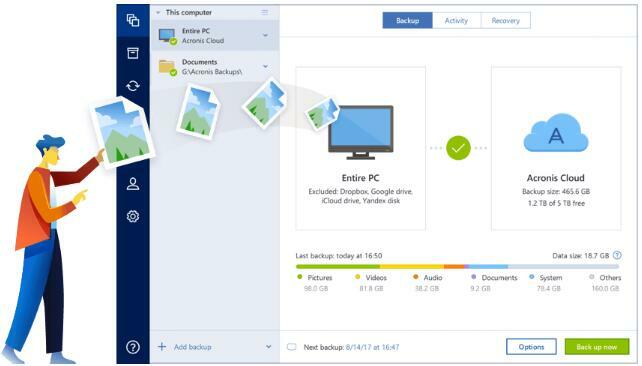 Get Acronis True Image free trial to give it a try for 30 days. It costs £49.99 per year if you would like to get started with the service.